Italian stuffed pastas are always winners in my book. I love them! But sometimes I just don't want the carbs. In the recipe below, we stuff zucchini as a substitute for the pasta, and trust me, it does not disappoint! 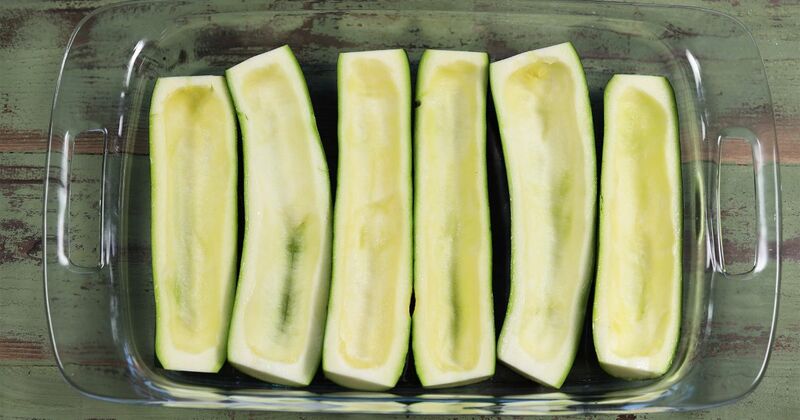 Using a spoon, scrape out the center of each zucchini half. Place the halves in a casserole dish with skin facing down. Heat olive oil in a hot pan. Add onions, garlic, bell pepper and mushrooms. Add Italian seasoning, salt and pepper. Cook until vegetables are tender. Add ground turkey, breaking up with a spoon. Cook until browned. Add marinara sauce. Stir and simmer on low for 10 to 15 minutes. While mixture is simmering, place zucchini in oven for 10 to 15 minutes. 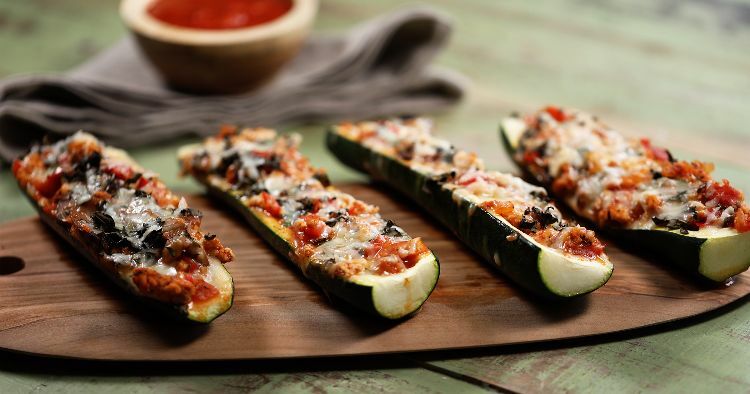 Remove zucchini from oven. Stuff with turkey mixture. Evenly sprinkle basil over the top, and then cover with mozzarella and Parmesan cheeses. Return to oven. Cook for another 15 to 20 minutes, until the cheese is golden and bubbly.